2015, fashion designer Jörg Broska and Rainer Brenner conceived of something truly special. They created a joint collection that sees high-quality silk integrated into the frame of the glasses. Every year, six new models are released whose varying colours and patterns are aligned to the current fashion trends. 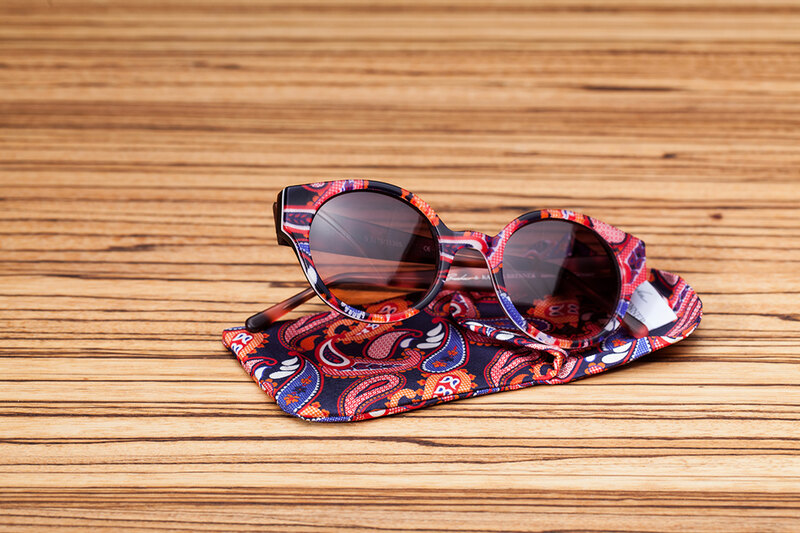 An etui in the same textile pattern that can also be used as a pocket handkerchief comes with every pair of glasses.